Adorn your wrist with delicate shine. 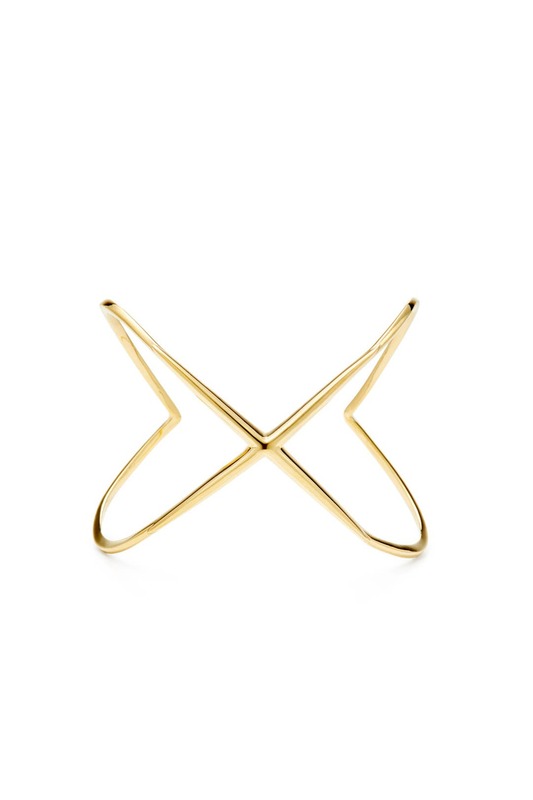 This Elizabeth & James cuff will go perfectly with all your favorite bracelet stacks! 22k gold plated geometric X slip-on cuff. 1.75" wide and 2" in diameter. Size as expected, could dress it up or down as needed for a slender cuff. Suitable for all occasions. Metal has some give so you can tighten or loosen. Great for everyday wear and layering with other bracelets. I like the daintiness of the bangle. It is adjustable, but also on the flimsy side. The pointy ends on the back scratched against my skin when I put it on. I'm not really a bracelet or cuff person, but this was nice. Very delicate & subtle. I have freakishly small wrists & it fit great. If you have wider wrists, this might be snug, but it is adjustable. Elegant with simple lines and design. Great for everyday use. It does not always stay in place--you might want to rearrange it every hour. That's why I took one star off. I loved this bracelet so much!!!! Very cute. Tiny ! A chic, modern piece. This is a beautiful and delicate bracelet that can be dressed up or down. 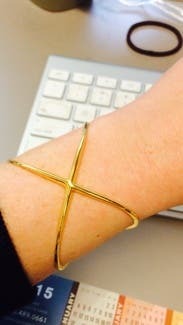 It is great for gals with small wrists, or can be adjusted to fit larger. Great quality! This bracelet was selected for me as part of the unlimited program. It was cute and very versatile. Beautiful piece - very small. It is a beautiful bracelet, but was way too small. I have extremely small wrists too, so I was shocked. The end of it was also very sharp and it scratched my skin as I put it on. I was bummed because it is such a beautiful piece. I have tiny wrists and this beautiful piece worked well for my size. I have a small, on the thin side wrist and this bracelet fit perfect. Just a hint of classic gold to set of a simple yet polished look. I absolutely loved this cuff! Fit my small wrists beautifully and had enough "give" to the metal that it was easy to squeeze it a bit tighter once on. I imagine it could fit larger wrists as well, for this reason! Was sent since my order had issue, not what I had selected and was too thin to work with outfit. Would recommend only if you like thin, small bracelet. Absolutely in love with this cuff. thank goodness it had a little give! I rented this as a surprise piece of bling, I was excited to see what the stylists would choose. I liked that this was a subtle and simple piece of jewelery to go with a very busy dress (definitely my style). The cuff was very tight when it arrived and I was glad to be able to bend it slightly to open it up for my wrist. Definitely a piece I'll look to replicate for my collection. 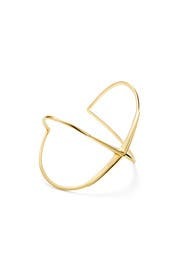 I am a huge fan of gold dainty jewelry, which describes this piece perfectly. But the fit on my wrist was very strange, I have tiny wrists, but the bracelet was completely uncomfortable, and no matter which way I turned it, it didn't look right. Maybe because my wrists are bony and it just hit at a weird place on me? My mom tried it on too, and it fit her weird as well (but we have the same wrists!). Beautiful in the box! But strange on my wrist. 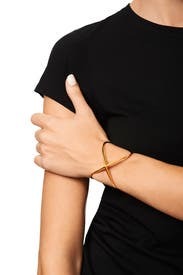 This bracelet is so simple, but so classy. I wore it multiple times while on vacation with both casual and dressy outfits. I want to buy it. simple, elegant yet edgy. I want to wear it all the time. Has potential, but just didn't work for me. If I carefully situated the bracelet on my wrist, it could give my shapeless wrist a bit of dimension, but it wouldn't stay there. It usually ended up rotating itself in disgust about my wrist until one of the points was digging into the underside of my wrist as a way of unsubtly requesting to be removed. Which I did. Ended up not wearing this out. Hopefully it has found the perfect little princess wrists it was looking for. I rented this for two keynote presentations during an 8 day trip to Taiwan. It is so pretty and unique; I wore it the entire trip. Thanks RTR. Very simple piece that really complimented my outfit. A little expensive for what it is, but worth the rent. Very cute. It actually fits my tiny wrist!! It is so hard for me to find bracelets that fit my tiny wrist. This one is super elegant and fits like a charm! Perfect by itself or layered. Perfect in general. Although I didn't end up wearing the bracelet because it didn't work with the dress, I would own this in a heartbeat. It's delicate and very cool. Can be worn casual or for a night out. Tight fit for average size wrist. I was not able to wear this unfortunately as there was no give to slide it on and diameter was small. Pretty and well made despite size issue. 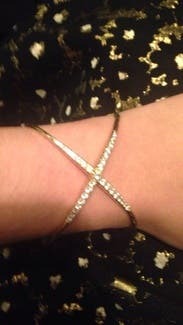 Loved this bracelet so much, I'm going to buy it! I typically hate wearing bracelets, because I have a teeny wrist, but this was perfect. I could size it perfectly and it stayed put all night long. Loved this bracelet. It was a great addition to my outfit! Perfect for so many dresses. Great design , comfortable. Other reviewers said it ran small but it fit me well and although I am fit, I am not short or petite. 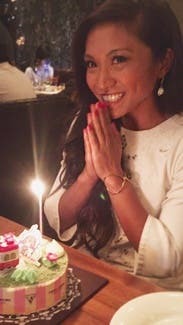 It was a great bracelet that classed up my casual outfit and also went well with a date night dress. Simple elegance for my destination wedding. 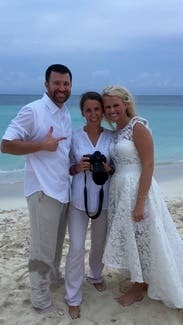 Loved the simplicity but the edgy modern feel to this delicate X cuff for my destination wedding in Playa Del Carmen! 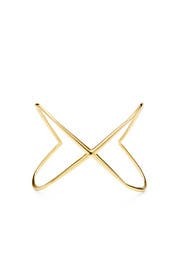 I hate wearing jewelry, but this cuff is a nice and demure accessory. 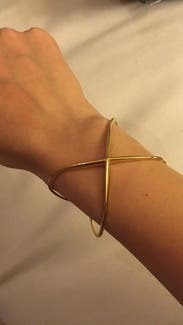 This bracelet is easy to wear and doesn't overpower an outfit. I have small wrists and it was a snug fit. Looks like it does in pictures. Awesome bracelet to make a standard day more special.